This year we have prepared two special options that will create a great atmosphere of the last day of 2018. 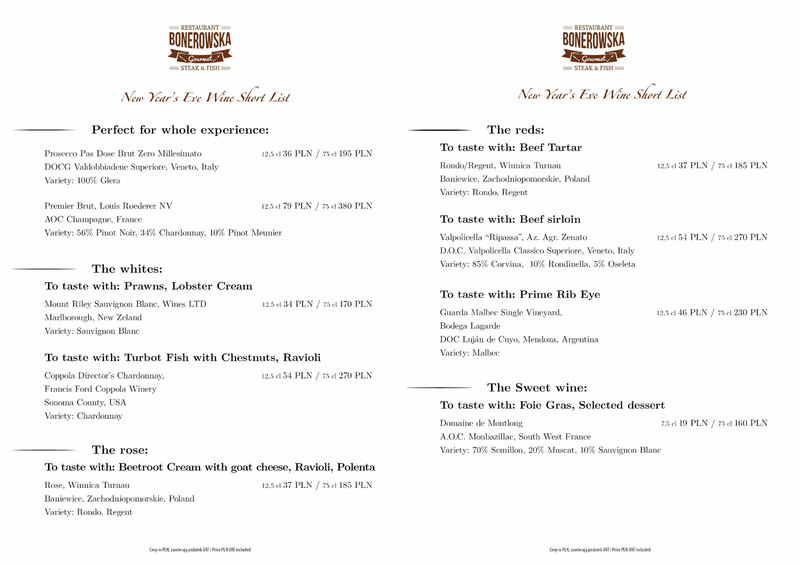 The menu is available on Dec, 31st from 16:00 until 01:00. Enjoy a glass of prosecco as a welcome drink with each booking. 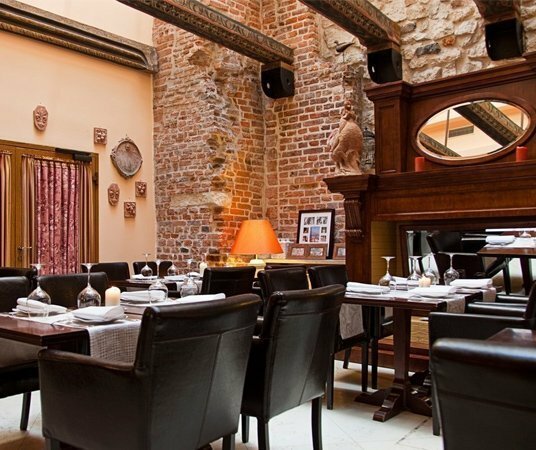 You can book a table upon availability in one of the time slots: 16:00, 19:00 or 22:00. Since this offer is very popular amont our Guests, we can guarantee you can have a maximum three-hour dining experience. Should you decide to book, we will ask for a 100 PLN deposit which is payable within 48 hours from placing your booking. This will then be deducted from the receipt. The deposit is non refundable, so should you cancel your booking or do not arrive within 15 minutes from the time of the slot booked, we will cancel the reservation and keep the deposit.